Innovative draining system to simplify the cleaning. Deep-drawn bottom front part to give solidity and resistance. All perimeter rounded bottom edges to grant the best sanitation. Slotted holes for easy fixation of the front panel. Ronda’s Sliding Box represents an innovative solution that meets the needs of the foodservice operators in a simple and practical way. 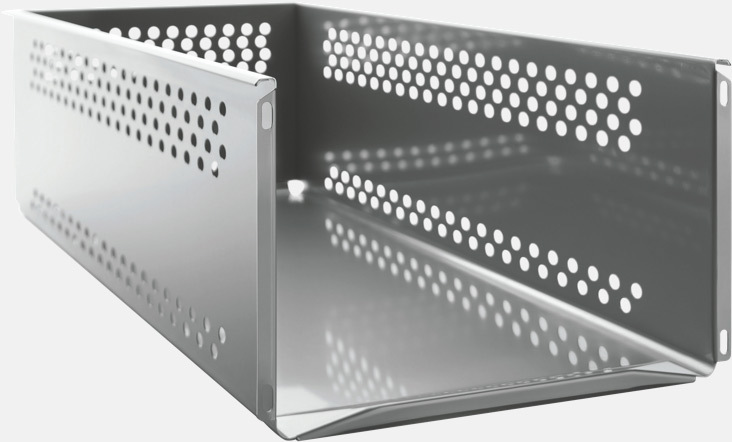 Sliding Box is entirely made of Aisi 304 stainless steel. drawer front is highly recommended. Possibility to install any kind of sliding guides. The box can hold any combination of gastronorm containers size 1/1.